The COMSOL Multiphysics® software helps you find solutions to your engineering questions, but you may also have questions on using the simulation software itself. Therefore, we’ve created resources to guide your modeling process. In this blog post, we discuss three help tools that you can access in COMSOL Multiphysics: the Help window, Documentation window, and Application Library. We also link to a video that shows you how to access and use these tools at the end of this post. When setting up a simulation in COMSOL Multiphysics, you may want to seek out more information on the software as you go. Whether it’s learning about a node in the model tree, the settings for an operation you’re currently working in, or the differences between a set of options you are choosing from and what they will mean for your model, it’s helpful to have guidance available at your fingertips. This is the convenience that the Help window in COMSOL Multiphysics provides. The Help window, displaying topic-based content for the Electric Potential boundary condition. The Help window, accessed by clicking the Help button in the top right-hand corner of the software (the blue question mark) or the F1 key on your keyboard, enables you to promptly access information pertaining to the model tree node or window in which you are currently working. The text that displays updates automatically as you select items in the software or add settings to your model. This enables you to instantly get help right when you need it. 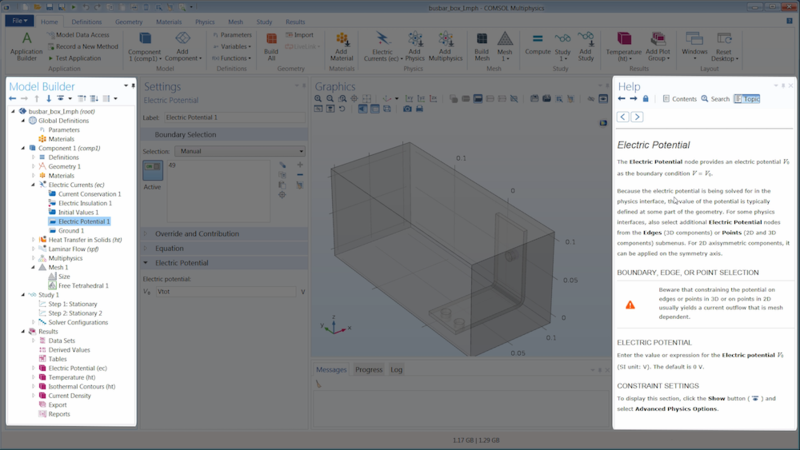 Since this window appears in the COMSOL Desktop® when opened, you can access the information you need without having to compete for screen space with your simulation. Instead of having to fit multiple windows on your monitor, you are able to view the help content and Model Builder together. Additionally, you can search and navigate the text in the Help window using the respective buttons. In addition to receiving topic-based help, there may be times when you want to more easily access, navigate, and search all of the comprehensive COMSOL Multiphysics documentation. This includes the user guides and manuals for any modules for which you have a license. 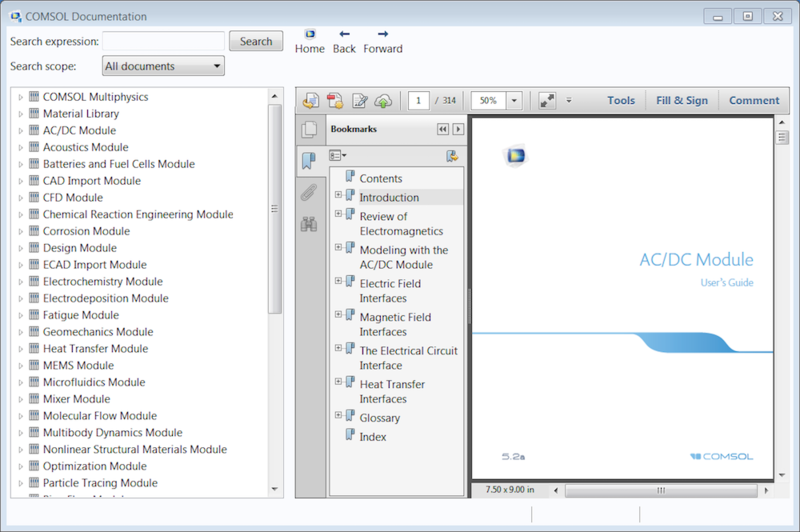 You can find this documentation in the Documentation window, which you can access either from within COMSOL Multiphysics, by going to File > Help, or externally from your computer in your COMSOL Multiphysics installation folder. The Documentation window, with the AC/DC Module User’s Guide opened. The Documentation window enables you to quickly and easily access your entire library of COMSOL Multiphysics documentation, all within a single window. When open, you can choose between the PDF or HTML version of any guide, manual, or handbook. Additionally, the sections of each individual document are hyperlinked and bookmarked. The sections are displayed on the left side of the window, as shown above. This enables you to quickly jump between different chapters and documents. This resource also provides more options when it comes to searching through the software documentation. This includes the ability to search through the entire library, only within a specified set of documents you have preselected, or exclusively through the Application Library Manual for all licensed products. Searching the Application Library Manual, in particular, enables you to find models and applications that demonstrate use of some specific physics, software features, and functionality. Whereas the Help window provides quick access to documentation while modeling, the Documentation window serves as a more comprehensive resource when you need further clarification and more powerful search tools. Now you know that you can access information about what you are working on. The ability to access modeling examples relevant to your work is equally as important. These examples enable you to learn how to use the software, examine COMSOL Multiphysics models, and access guidance that you can apply to your own simulations. In the COMSOL® software, the modeling examples can be found in another valuable resource, the Application Libraries window. 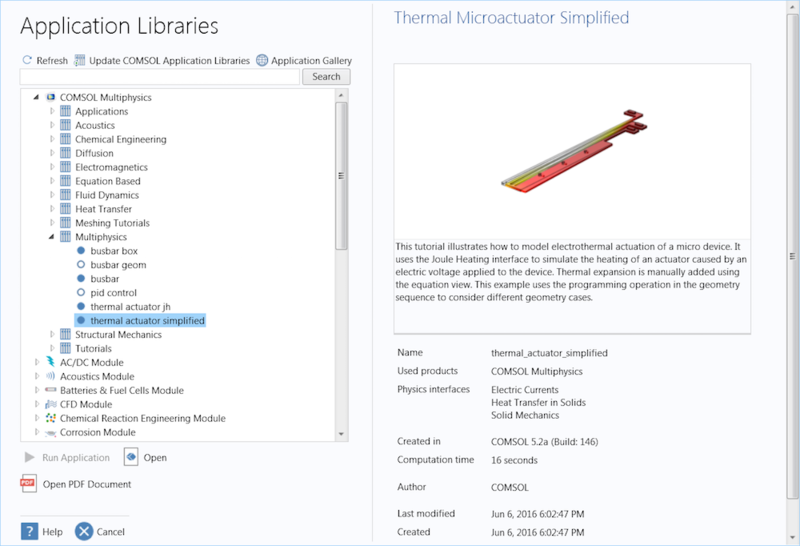 The Application Libraries window, with the Thermal Actuator tutorial model selected and displayed. The Application Libraries window, accessed by going to File > Application Libraries, contains hundreds of models and simulation applications, spanning every module and engineering discipline. Using the Search field, you can find applications and models that cover some specific physics or feature that you want to see how you can use. Each entry includes a brief summary of the model; the COMSOL Multiphysics model file; and a PDF document that provides a comprehensive introduction and detailed, step-by-step overview of the model-building process. This provides you with the logic behind how the model is built, why and how boundary conditions are applied, and other useful information that you can use as insight into the models you create. By following along with any of the tutorial models available, you can experience building a model firsthand. 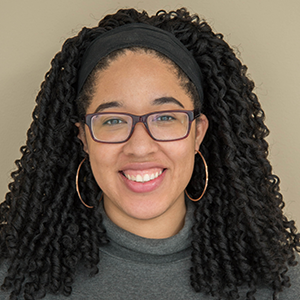 In addition, relevant examples from the Application Libraries can be experimented with and expanded upon, serving as a starting point for your own designs. Tip: The tutorial models and demo applications featured in the Application Libraries are also available online in the Application Gallery. Now that we’ve introduced the help tools available in the COMSOL® software and the advantages they provide, watch our video tutorial covering it all. In the video, we demonstrate how to access and use each of the resources discussed above. After you’ve finished watching the video, you’ll be ready to use all of the help tools and resources available to you in COMSOL Multiphysics. Can it be possible to import FORTRAN script in initial values? Instead of sine wave as initial condition we want to use random initial wave condition. The random wave initial condition is in FORTRAN language script. Otherwise can we run it as MATLAB code and import it to initial value condition?